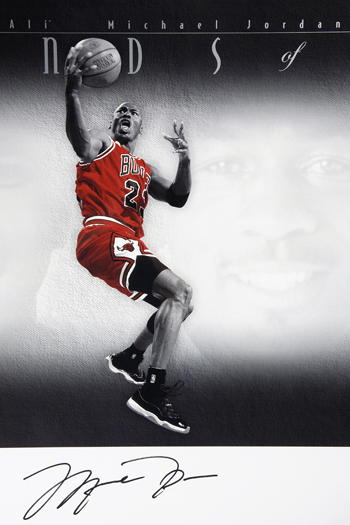 The arrival of the Legends of Sport Red Variation piece at Upper Deck offices today has ruined productivity. Staff are having a hard time not stopping by to take a look at it and once they start checking it out, they find it difficult to stop. 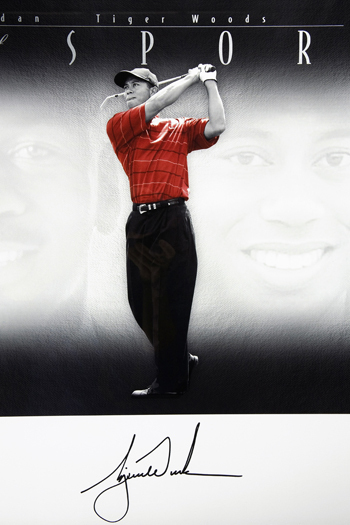 It is almost like the images and signatures Muhammad Ali, Michael Jordan and Tiger Woods have them hypnotized. They stand admiring the piece, wishing they could own one, but knowing they likely will not. A manager steps in to shepherd the staff admiring the piece back to work, but now he is transfixed by the piece as well. Autographs of the greatest athletes don’t come easy and they are not cheap. 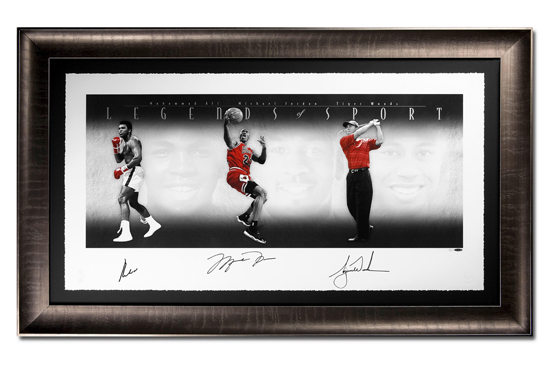 When you have a special piece like this featuring authentic autographs of three of the greatest athletes of all-time limited to just 100 copies, it’s easy to understand that this item isn’t for everyone. It just can’t be. A piece like this would be considered the holy grail to a collector lucky enough to possess it and they will have their chance when they go live on Upper Deck’s online store the first week of February. It carries a suggested retail price of $7000. This limited-edition item can also be procured by contacting Upper Deck Authenticated at (800)551-8220 early next week. With an exclusive memorabilia deal with Michael Jordan and Tiger Woods, collectors will not find an authentic piece like this from anyone else than Upper Deck Authenticated. 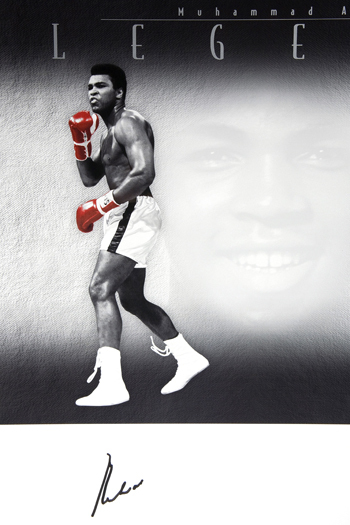 This is your opportunity to own the world’s greatest memorabilia featuring the world’s greatest athletes. Invest in your passion. This is no doubt a beautiful piece, but to be honest this is not that impressive. It’s no different than three separate items that those three guys signed. Now, if there was an actual photo of them three of them together, that is different.